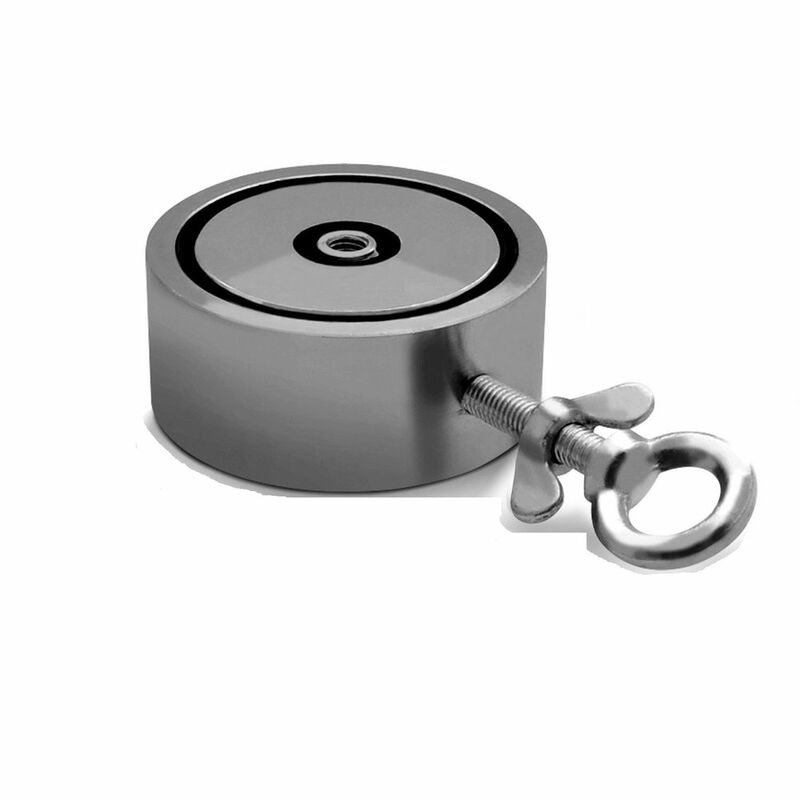 This Neodymium Fishing Magnets is made of a super strong neodymium magnet encased inside a chrome plated steel cup. 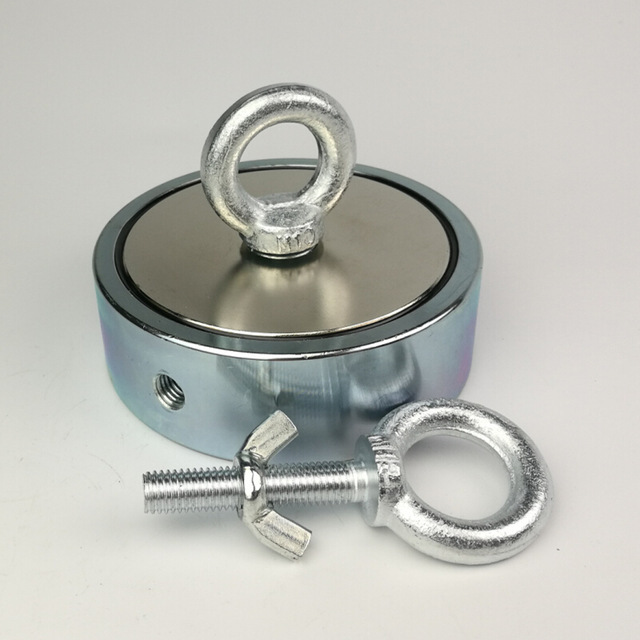 The neodymium magnet is bonded inside of the cup with adhesives. At the same time, the steel cup also protects the magnet from being damaged when frequently used. 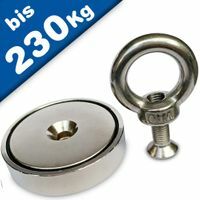 The eyebolt is provided for easy application but you can remove it and make and install your own hooks or eyebolts. 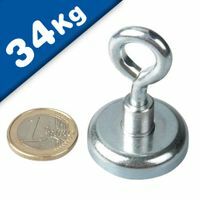 NdFeB Pot Magnets are best for small sized magnetic products with maximum pull strength (ideally when in direct contact with ferromagnetic e.g. mild steel surfaces). 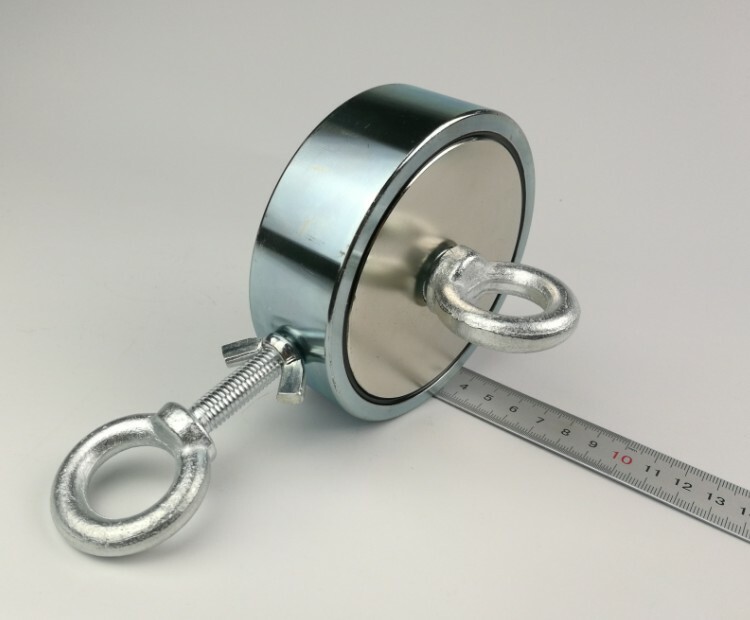 The actual pull force achieved is dependent on the surface that is being clamped onto (material type, thickness, flatness, friction levels, etc), its quality (e.g. 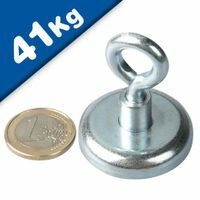 rust free), its size (thickness plus total surface area), etc. 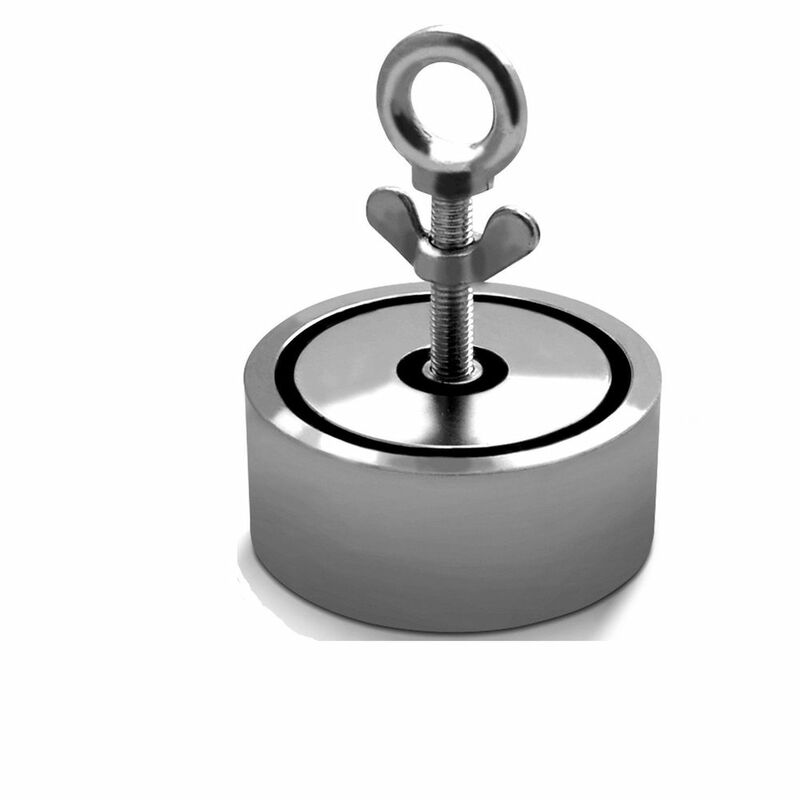 There are many applications for NdFeB Pot Magnets, mainly in applications where a strong clamping force is required. 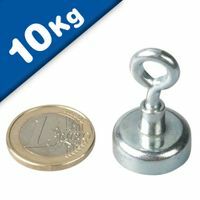 Applications include Point of Sale, windows dressing, door / cupboard and gate clamps, false ceiling clamps, signs and banners, torque limited seals, jigs and fixtures, lighting holders, marketing and exhibition displays, retrieval magnets, industrial fixings, etc. 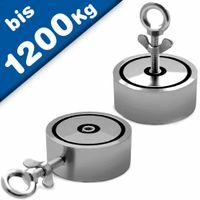 SUPER POWERFUL - This fishing magnets is 1.89"(48 mm) in diameter, adopt strong neodymium magnet for its base. 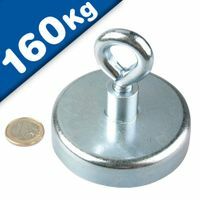 It can offer 2x 600kg pulling strength under ideal condition. 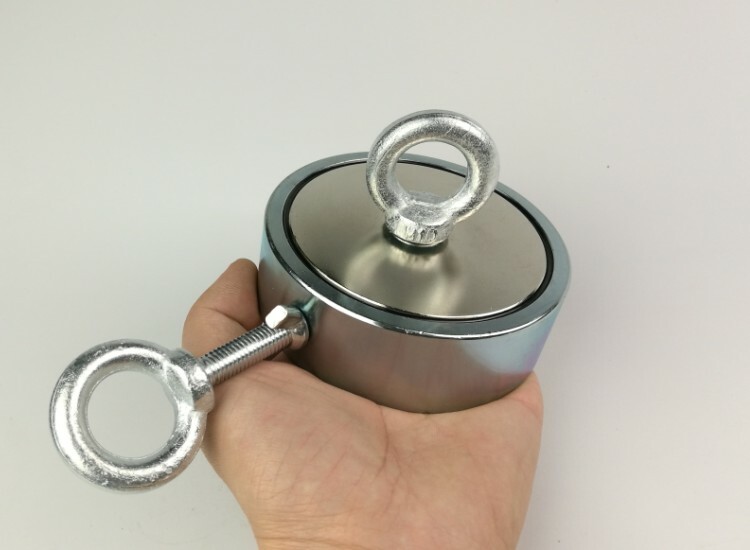 HIGH QUALITY - The powerful magnetic force is only concentrated at the bottom, The other three sides are Protected by steel cups that almost no magnetic force and magnetic force equivalent to 10 times the volume of the same magnet. force permanent, long service life. Made under ISO 9001 Quality Systems.